DELegalHelpLink.org is provided as a public service by Delaware’s nonprofit civil legal services providers and other justice community partners. DELegalHelpLink.org provides referral information about free civil legal services so individuals can find help from the most appropriate nonprofit legal aid organization or other community legal resources. DELegalHelpLink.org contains a directory of legitimate and pre-screened organizations that offer free or low-cost legal advice, representation and other services. Legal Services Corporation of Delaware, Inc. (LSCD). LSCD is a non-profit law firm and community education organization assisting low-income families in Delaware. LSCD works to give low-income individuals an opportunity to exercise the rights they have been granted by law. Community Legal Aid Society, Inc. (CLASI). CLASI is a private, non-profit law firm dedicated to equal justice for all. 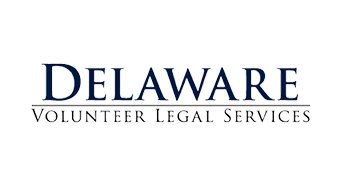 CLASI provides civil legal services to Delawareans who have low incomes, disabilities, who are age 60 and over, or are victims of domestic violence or other crimes, including immigrants. The Delaware Bar Foundation (DBF). The Delaware Bar Foundation’s mission is to improve the administration of justice in Delaware by 1.) providing legal services for the poor, 2.) promoting study and research in the field of law, 3.) fostering knowledge of citizenship rights and responsibilities and 4.) enhancing public respect for the rule of law. The Delaware State Bar Association (DSBA). The DSBA is a voluntary bar association for the state of Delaware. Through the work of its many sections and committees, the Association is regularly involved in matters pertaining to the profession, to the enforcement of our laws and to assuring equal access to the justice system for every citizen. The Delaware Combined Campaign for Justice (CCJ). CCJ was established in 1999 as a partnership of the Delaware State Bar Association (DSBA), Community Legal Aid Society, Inc. (CLASI), Delaware Volunteer Legal Services (DVLS) and Legal Services Corporation of Delaware (LSCD). These partners join in an annual fundraising campaign to increase the availability of civil legal services to disadvantaged people in Delaware.